Despite Shanghai being a major city and financial centre, there is still a strong sense of community. Some of the best local eateries and restaurants in China can be found here. No matter what sort of food you like, you will find something to satisfy your taste buds. 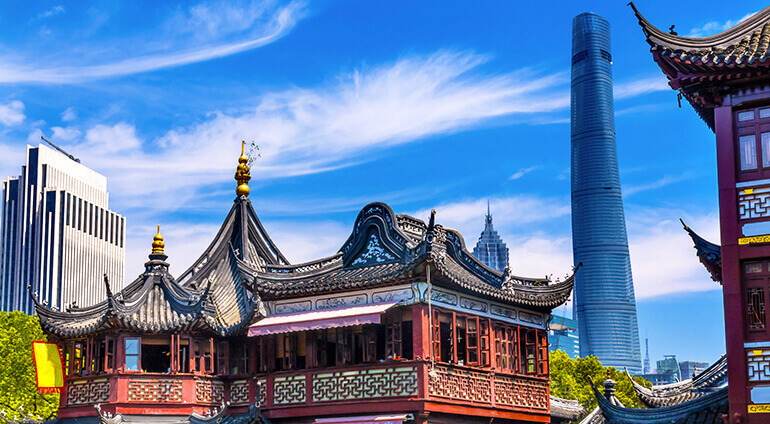 For those who love a bit of retail therapy, Shanghai is heaven. There are so many different shops including the hundreds of stores in shopping centres, to the smaller quirky street stores. The city has been called the ‘Oriental Paris’, partially because of its first class shopping. If you fancy going on a few nights out while in the city, you will enjoy the selection of bars, nightclubs and music venues. The city also looks magical at night when all the skyscrapers light up. Try taking a night cruise on the Huangpu River in the evening.